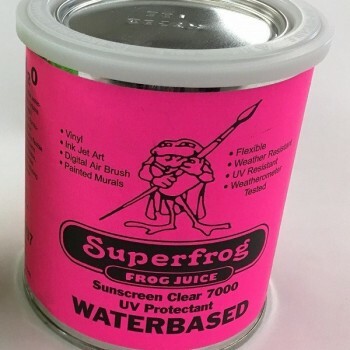 Frog Juice Sunscreen 7000 Solvent-Based is similar to automotive clear. It is totally synthetic and will not yellow. It does not require a hardener or catalyst. Frog Juice is ready to handle and place outside in 30 minutes. This liquid laminate is enamel receptive and can be used on most substrates including intermediate and high performance vinyl films. 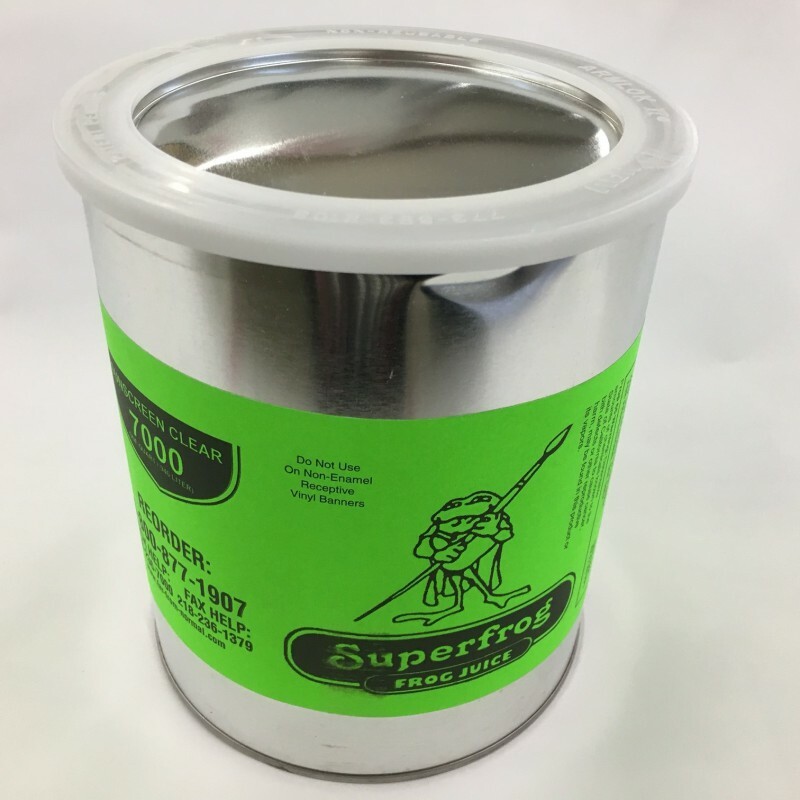 Frog Juice is excellent for digital printing, its UV resistance extending outdoor durability to 5 years or more. It waterproofs and becomes a sacrificial coating that takes abrasion and scuffing abuse. One quart covers approximately 32 square feet. 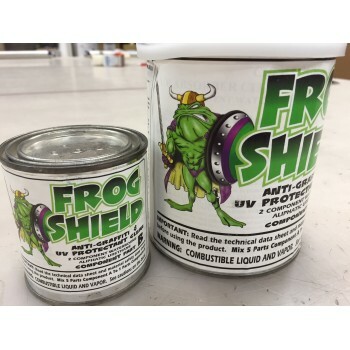 Apply Frog Juice Sunscreen 7000 Solvent-Based with a foam brush, roller, or spray gun. If using a spray gun, mix 1:1 with paint thinner.